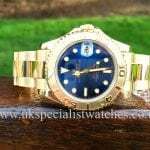 The Rolex Yacht-Master was originally designed to be a more elegant version of the the classic diver’s watch the Submariner. 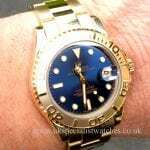 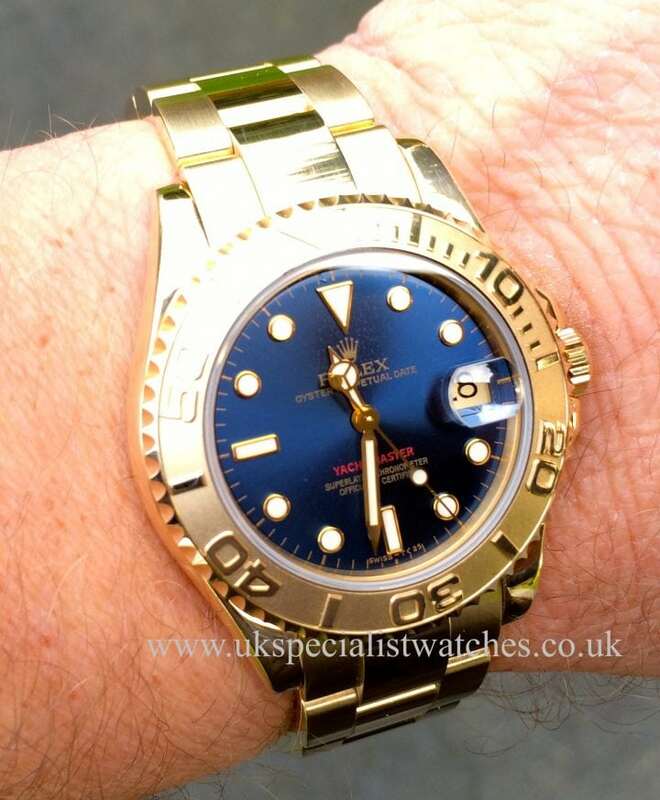 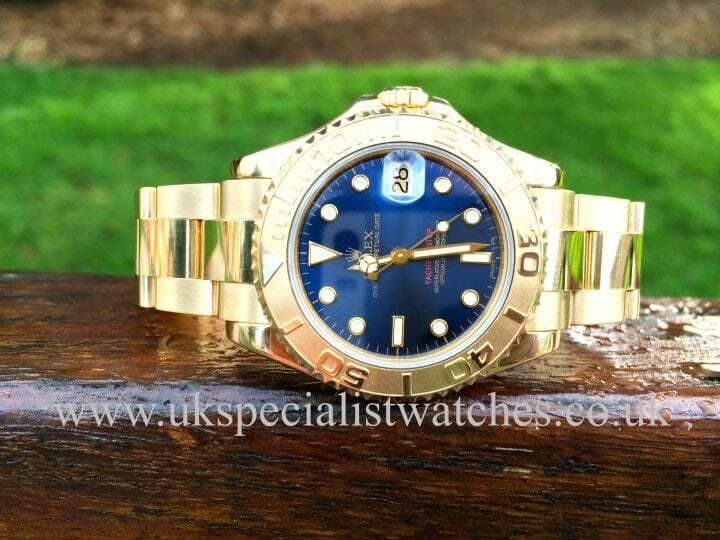 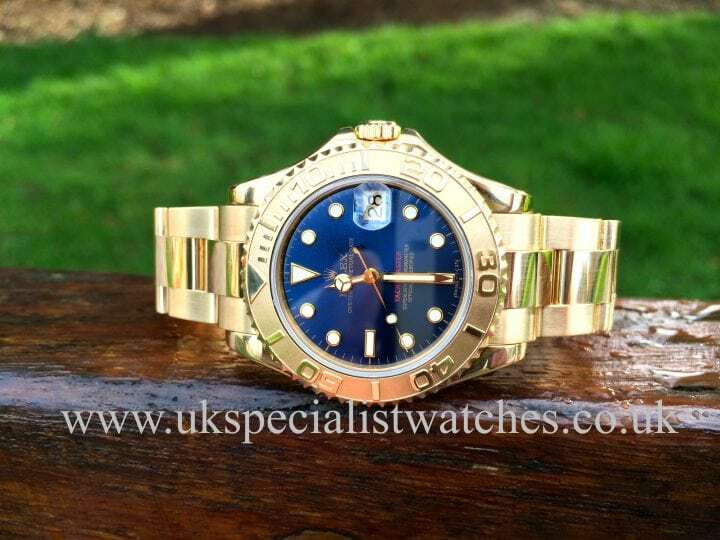 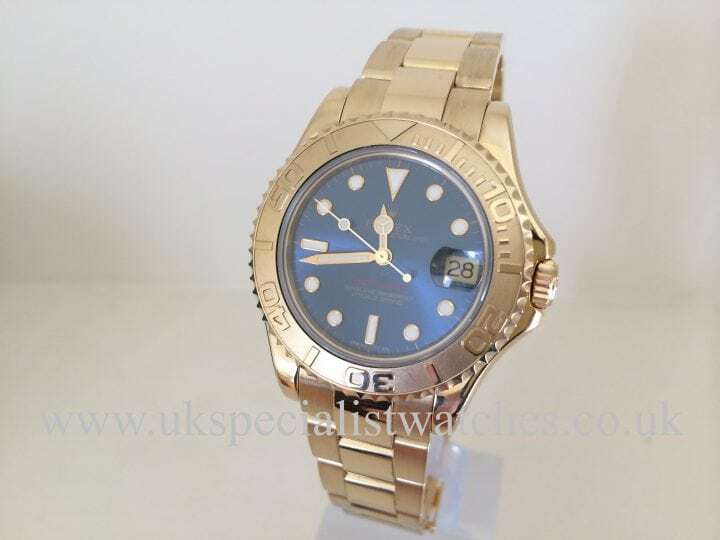 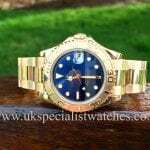 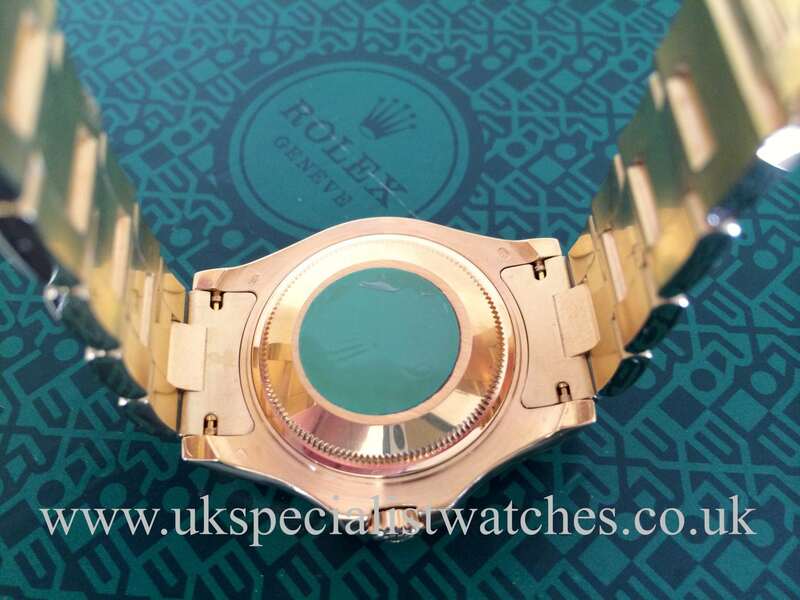 With a smooth 18 ct Gold case and the vivid blue dial make a perfect combination of the ultimate dive watch.Our watch having the largest of the mid-size cases measuring 35mm, thats only 1 mm smaller than Rolex’s flagship model the Gents president Day Date. 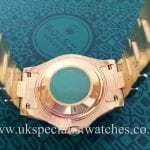 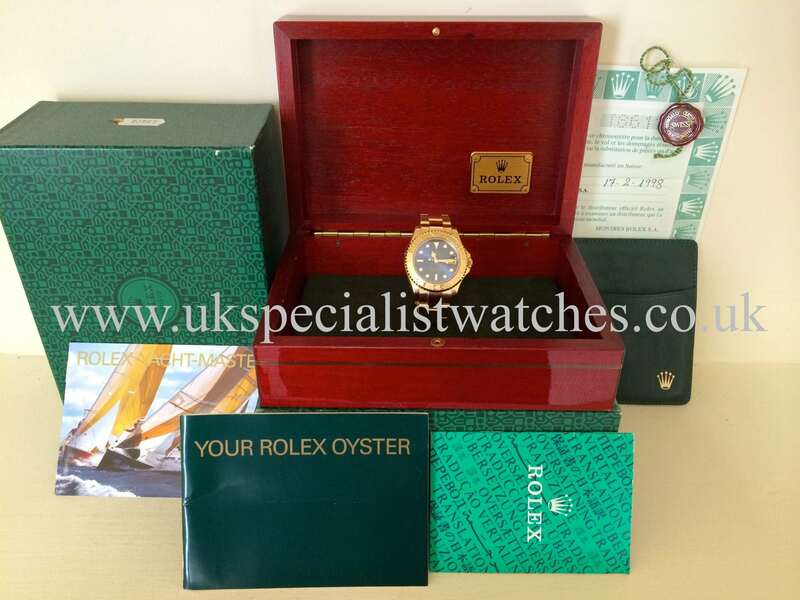 Supplied new in feb 98 and comes complete with its original boxes and papers.